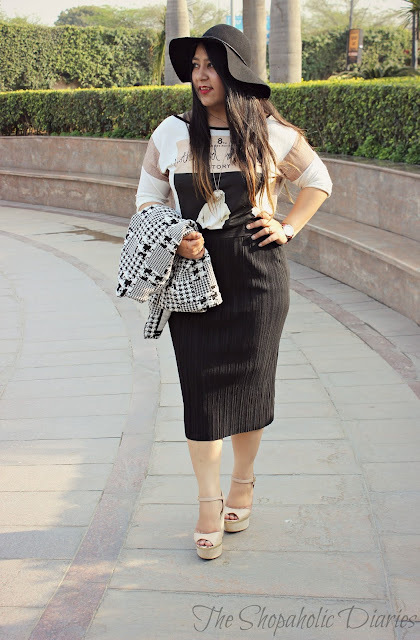 OOTD - Mono-Mania : Embracing Monochrome | How to Style Black & White this Spring | The Shopaholic Diaries - Indian Fashion, Shopping and Lifestyle Blog ! 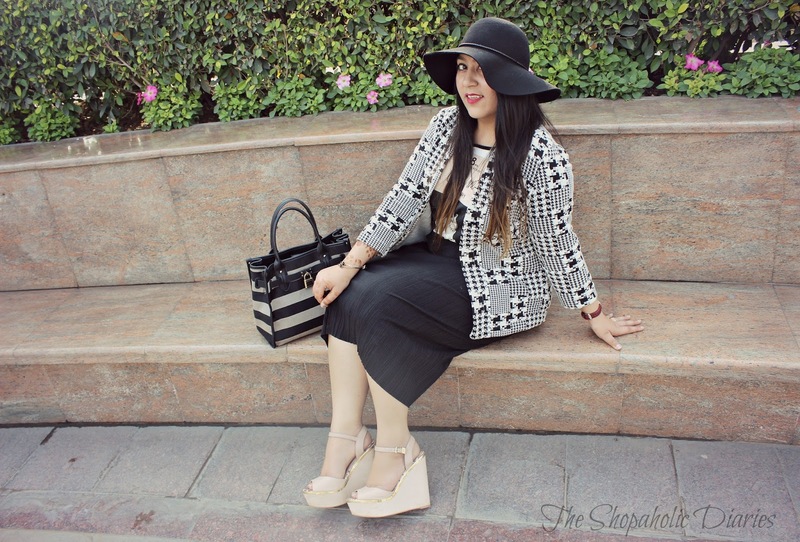 What's black, white and chic? 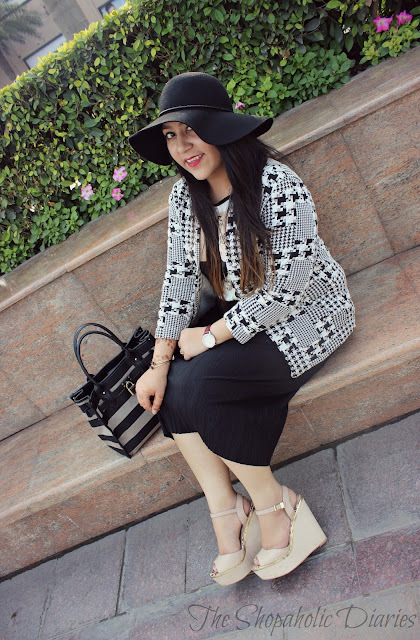 Well, that's my favorite trend - Monochrome! This trend has cast a spell on me and I can't seem to get over it even in this season. That's why when I saw this trendy black & white jacket at H&M, I knew I had to have it in my closet. And now that the days have become slightly hotter, I decided to do a shoot wearing it, before it's time to keep it back in the closet. So, on a lovely sunny day, I styled it with my new comfy midi skirt from ZARA and a printed boat-neck top from ZARA that perfectly complimented the skirt. My trendy hat from Marks & Spencer (which also fetched me a lot of compliments that day) was the perfect pick to complete the look, with a pair of stylish River Island wedges. As usual, I accessorized it with just a heart-shaped Accessorize pendant, a Fossil watch and a classic Tommy Hilfiger bag. Monochrome is a trend which is the easiest of all to carry off, no matter what your shape or body type is. 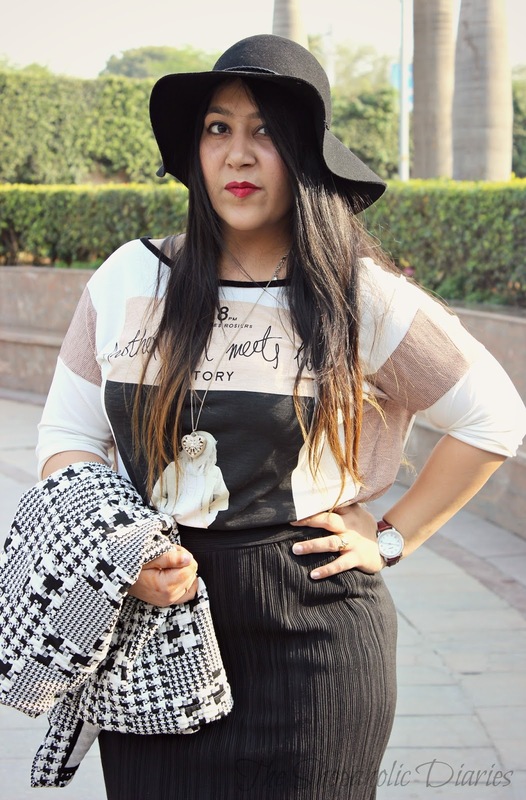 You can either sport in a layered manner like I did, or just pair up a classic white shirt or top with a pair of black pants for a chic look. 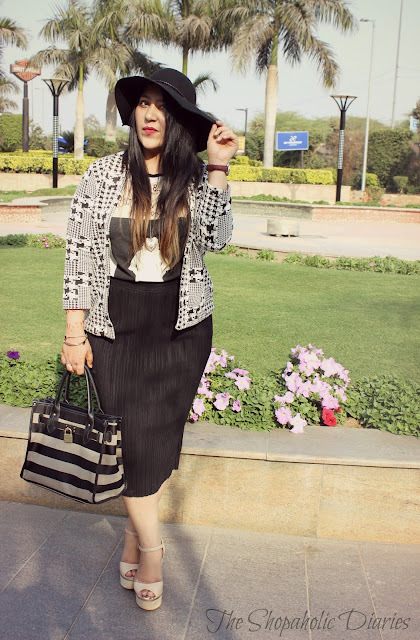 But if you are up for experimentation, try pairing printed pieces like my monochrome jacket for a headturner look. 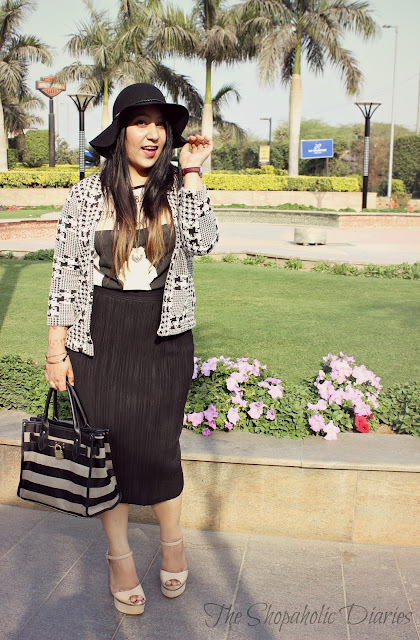 Do you like the way I styled this monochrome look? Let me know your views in the Comments below! Every Dresses are so pretty. I like your dress and your style. You look fabulous. 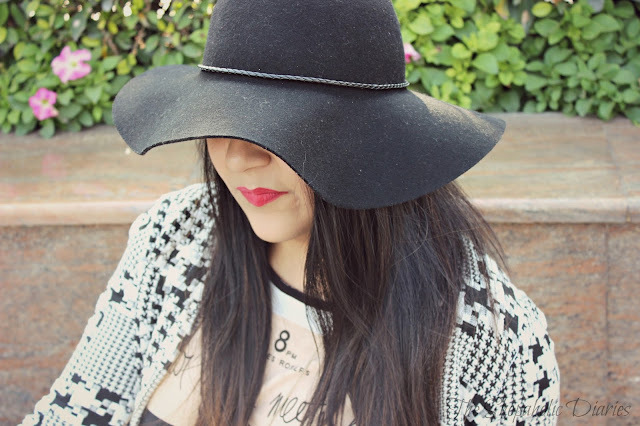 You have very gorgeously combined the magic of monochromes in your attire. It is suiting you well! Best online skirts.